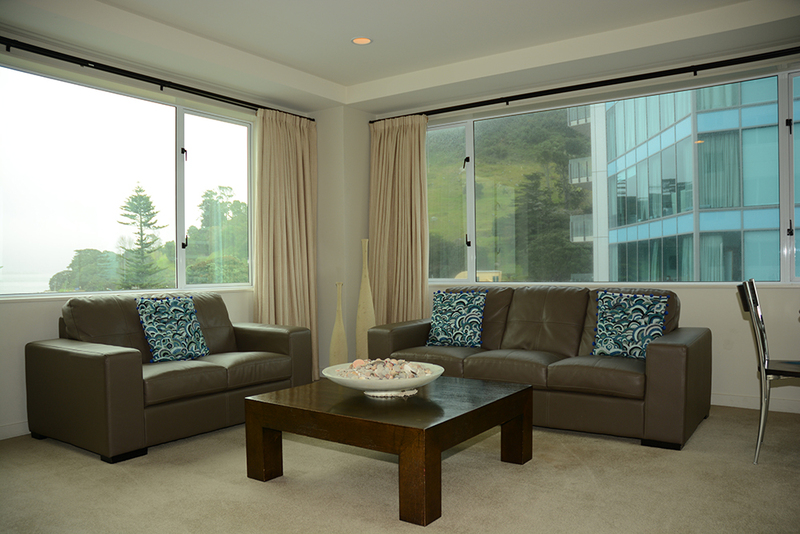 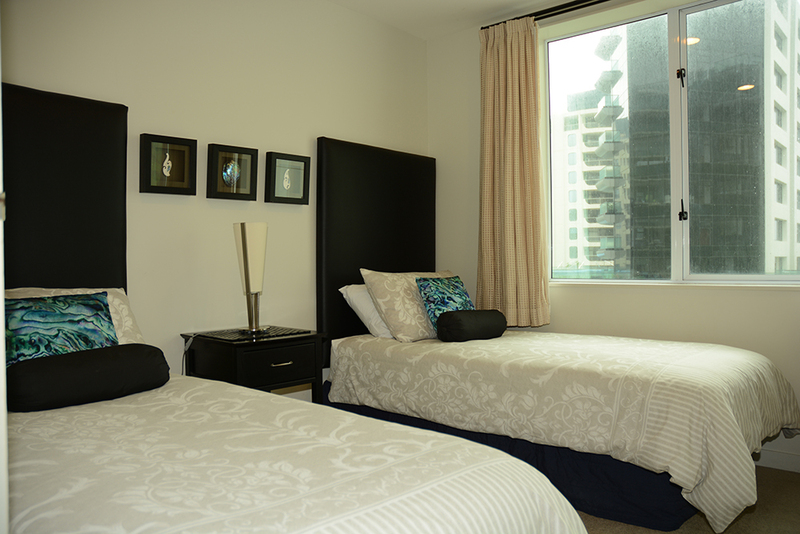 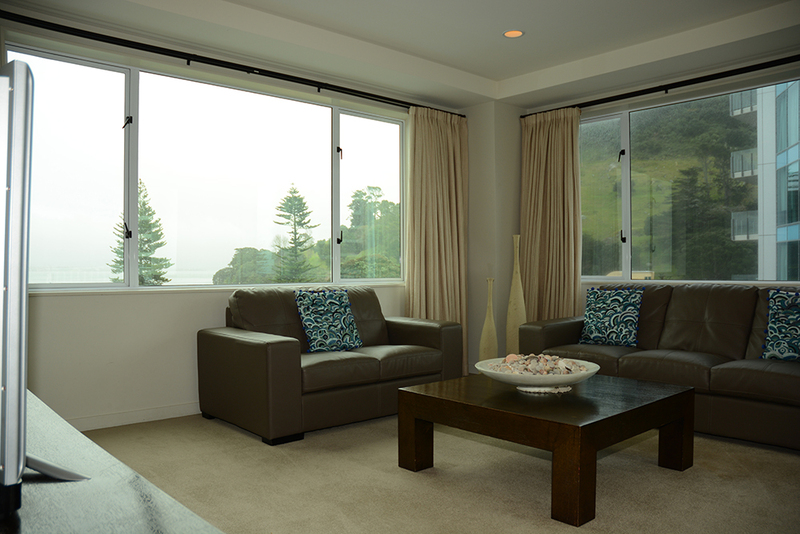 Treat yourself – stay in an apartment with absolute stunning all round views. 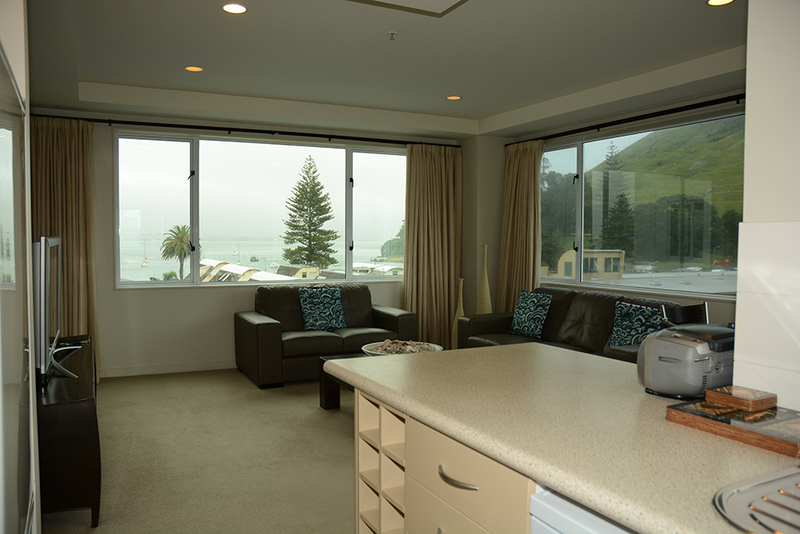 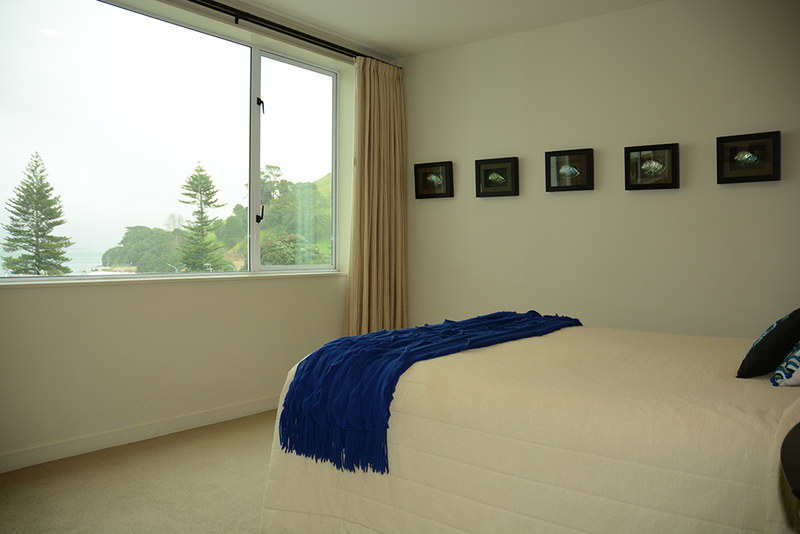 These two bedroom 2 bathroom apartments offer views of sparkling Mount Maunganui beach, palm-lined Pilot Bay, across to Tauranga harbour and right out onto the majestic Mount Maunganui. 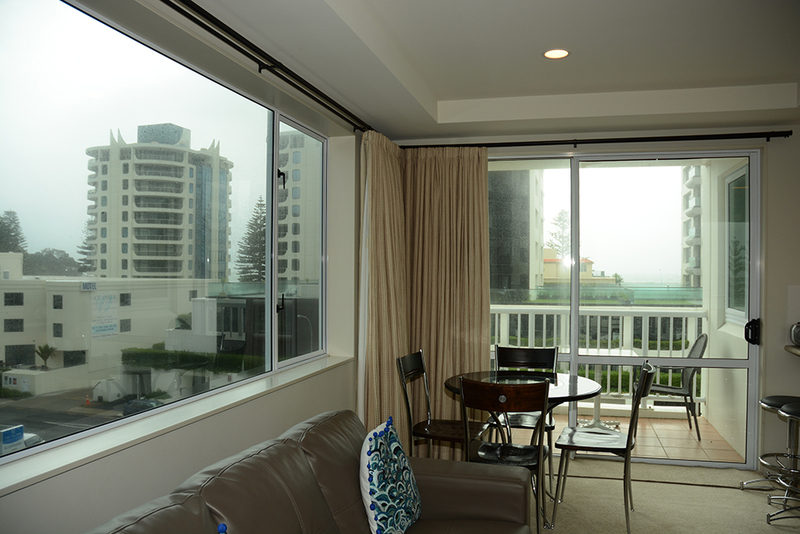 Large windows which wrap around the apartment’s living and dining area give a 180-degree outlook, providing you with stunning views day or night. 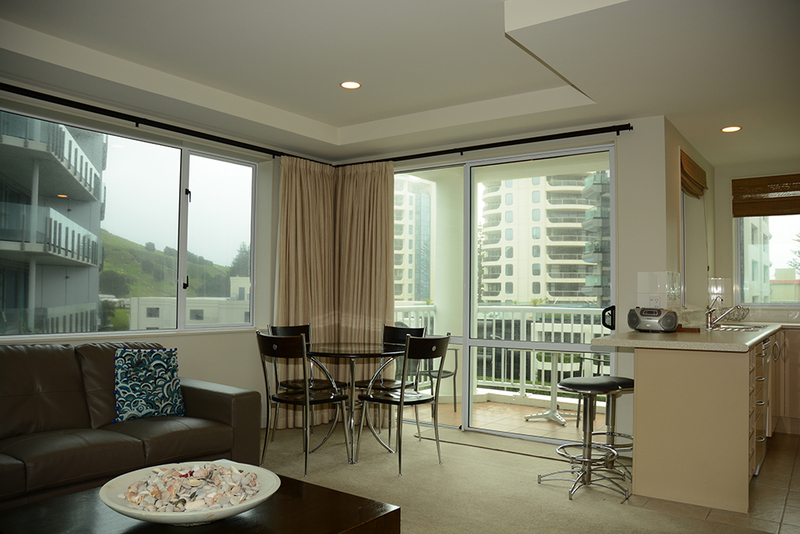 Price difference between apartments is indicative of view.